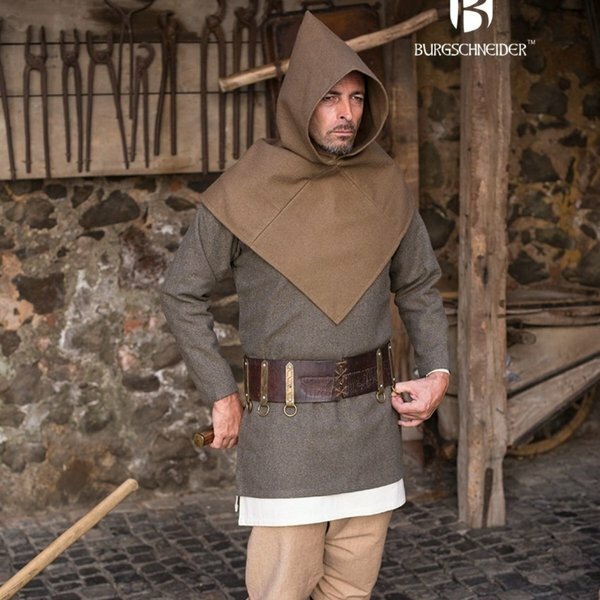 The chaperon became a gladly worn piece of clothing in the High Middle Ages. It protects the head, neck and shoulders from cold weather and rain. 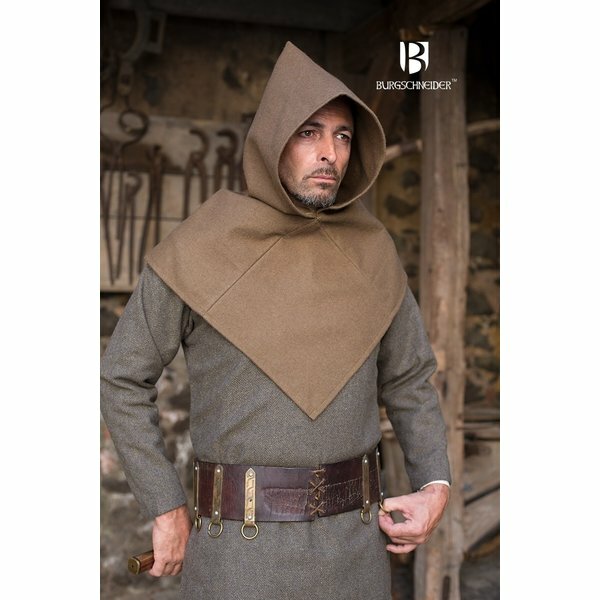 During the High Middle Ages they were worn by all classes of society and were often decorated and worn in bright colors. 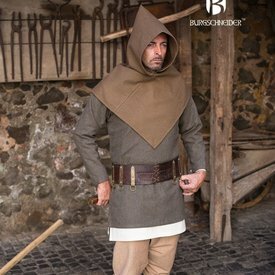 In the Late Middle Ages, their use was limited to the more common people who started to wear them in alternative ways. The liripipe for example, which used to hang from the back, was later wrapped around the neck.